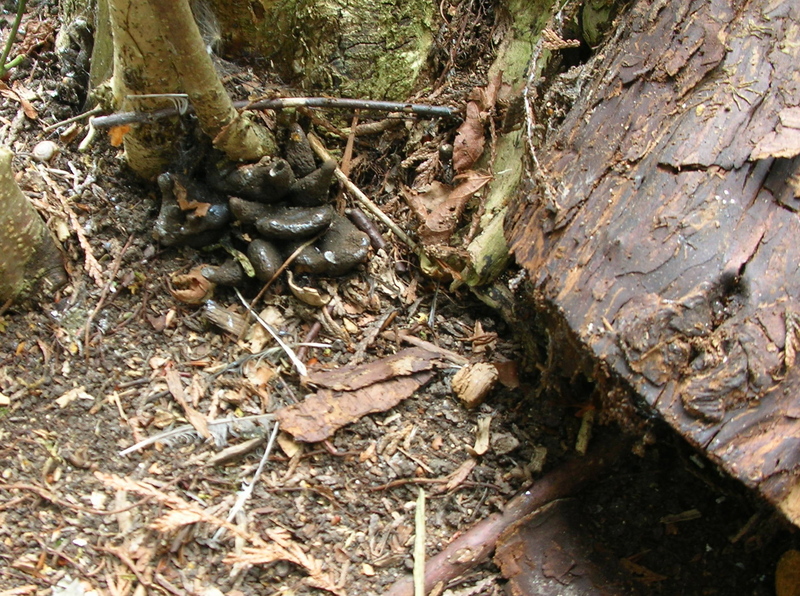 This entry was posted in Gardens and tagged bamboo, black fungus, garden roller (old), gardens, heavy rain, unpleasaunces by hilarycustancegreen. Bookmark the permalink. It’s ok 🙂 I just took a photo the other day of a metre-and-a-half tall dandelion that I cultivated by not mowing the lawns most of the winter (mostly because every time I walked on them I sank in somewhat, and I didn’t fancy having to fish out the lawnmower and me). It was a fine dandelion. On the other hand, it is all getting slowly whipped into shape now, and I have even just ordered some roses. So, swings and roundabouts. If everything was perfect, we would have nothing to aspire to, would we? Wow, that sounds like a prize dandelion! I love it that gardens are wonderfully forgiving and will respond as soon as you attend to them. I don’t have much of a garden here in South Texas, only herbs in pots but even they are looking rather sad. When it gets cooler I will replenish. 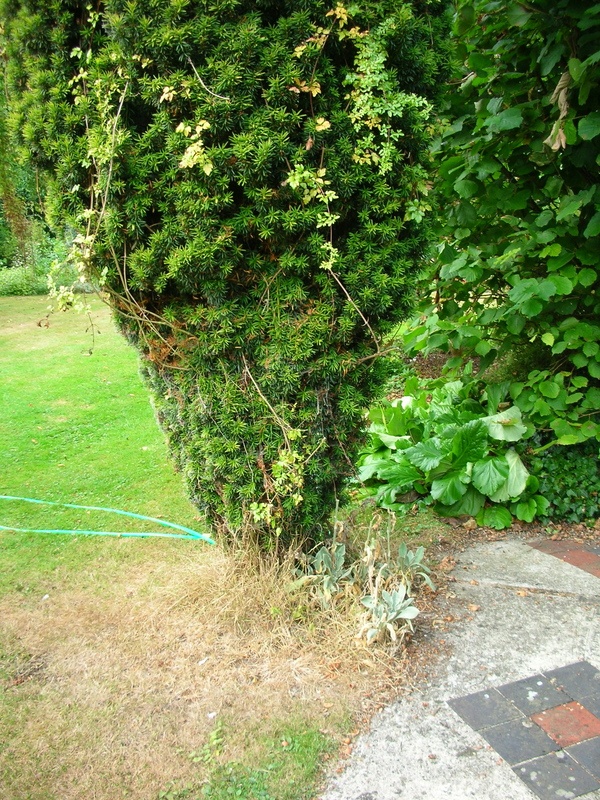 Your British garden’s bad spots do not look too bad to me! Yes, gardens like us, have seasonal ups and downs. We are lucky in Britain that the weather is at least alternately good and bad, so nothing lasts too long. Your garden is perfectly imperfect which sounds normal to me. 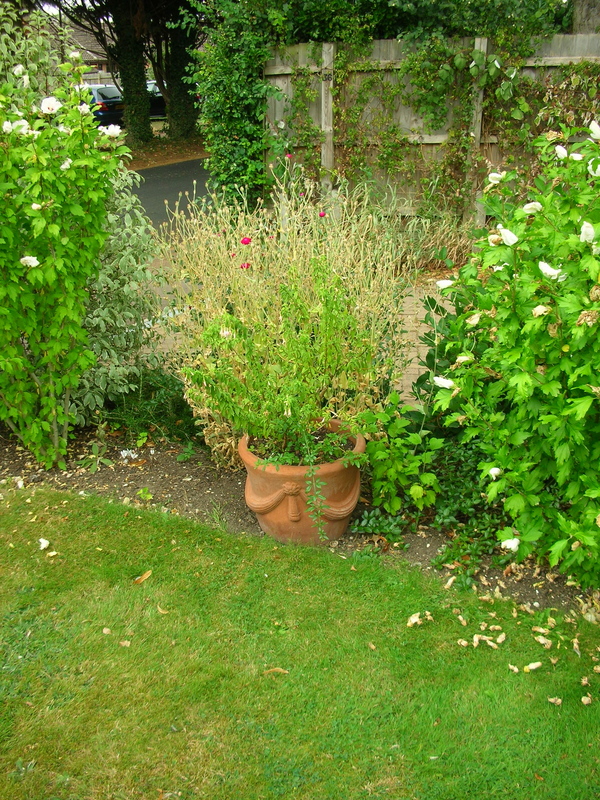 I have almost no garden- which I like – but a lot of pots which finally have flourished and which will wilt soon enough with the first frost. I’m cheered by your honesty, Hilary. Thanks for showing us the fails as well as the triumphs. Thank you. Pots are a lot of work, but I love them. 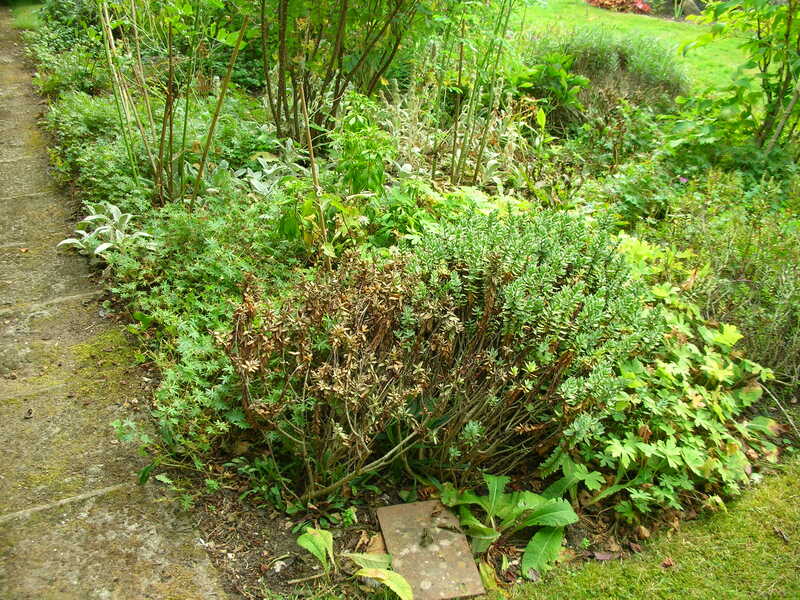 Gardens are very forgiving, they repay attention so cheerfully and there is usually something looking good. You have been doing yeoman’s work on your book and the promotion of it. And I assume, as with the rest of us, your time and energy are finite. A garden is a work requiring no small amount of devotion and attention. I am perplexed about how pride and humility even come into it…..Heck, Hilary, are you one of those cake-and-too people? Yes, you are right, the desk has claimed me even more than usual (but that garden roller has been ignored for an unconscionably long time). It must be my few childhood years at the convent creeping up and biting me – though I was laughing at myself as I wrote the final words. Cynthia has spoken, and I agree wiv her. Not to mention the fact that your garden ain’t small, dear Hilary ! (Thank heaven it’s the right size for hedgehogs, with their little beady eyes fixed firmly on their rewards for being.) The only really sad image is the sweepees: I’ve never seen any so rigorously sttacked ! I’m grateful for the wee animal: I doubt I shall ever lay eyes on one in the flesh, so to speak; so yours are vicariously wonderful ! 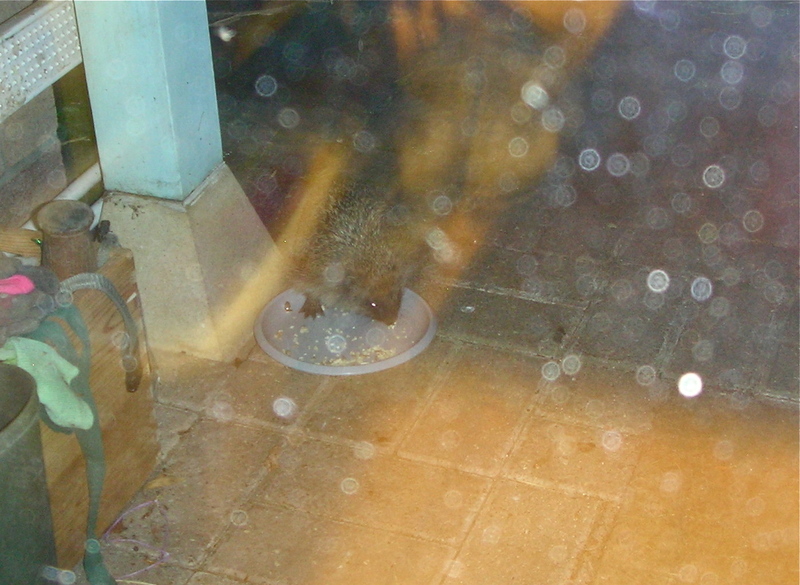 I’m glad you could even see the hedgehog, I they are so funny and do like to get their paws right into the dish, but I must do something about my photographic skills (and possibly even a new camera). I have no complaints at all about your photographic skills. Your site brings joy every time I visit it. Which ain’t bad, eh ? If you leave things long enough it will all be claimed back by nature. We have a small aluminium ladder on the roof of our shed totally overgrown by Jasmin. I can’t take it down anymore and have given up trying. I don’t want to be gloomy but I reckon Thomas Grey understood nature pretty well. Love the verse! 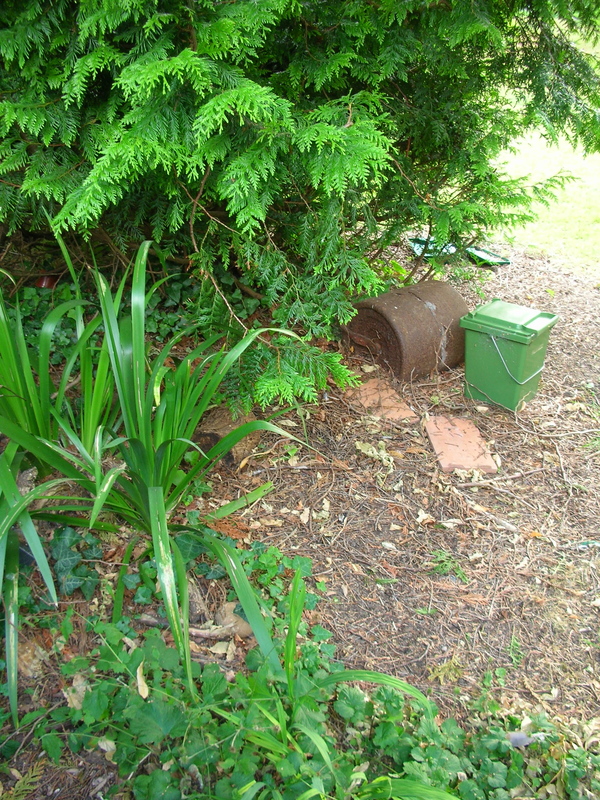 It is not a very big garden, but there are small corners that get unattended for many years and nature simply gets on with the job. Indeed. I am rather fond of the old roller becoming a piece of rusted archaeology. That’s exactly what I was trying to say – thank you. I’ve been hearing some awful stories of British gardens after dealing with the weather. I’ve come to the conclusion that it is more of a group project to keep one going, at least this past summer. 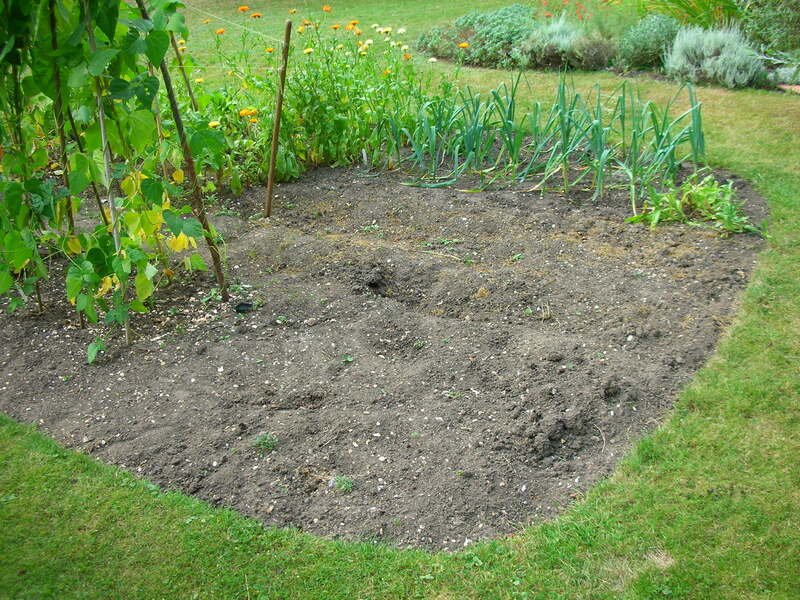 Ah… that would explain it… all of my under gardeners were missing! I think this is indeed your version of the no make-up selfie, Hilary! I still think it looks lovely. My favourite gardens are like my favourite books. Lush and lively with the odd rough patch through in there for a reality check. Yes, you are right, I lap up the praise for my beloved patch, but it’s a slightly guilty pleasure. I am also aware of others struggling with time, or the weather, or the slugs (what are ‘lugs’, spellcheck?) and the vagaries of nature and I wanted to put up my hand and say me too! Completing and promoting a book — what an achievement and major commitment! 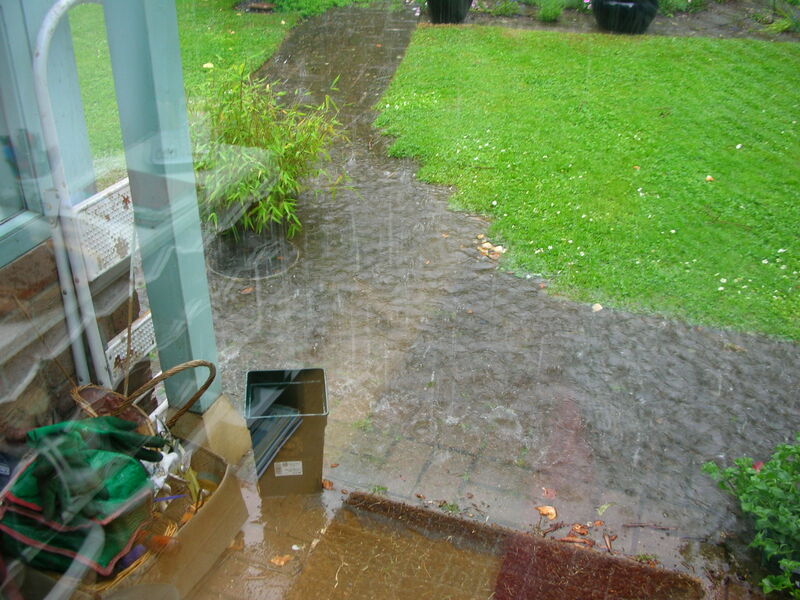 Plus, the strange weather didn’t help the garden, I’m sure. Next year will be a brand new gardening season and you can atone for your gardening sins then. And your hedgehog is cute. I will dream about next year… in fact I already have grand plans (I just need to convince my families), but as you know book have a long tail which continues to lash years after publication. Minor blemishes. But wildlife friendlier. I don’t have a hedgehog and I don’t know why they don’t visit us. I would always trade some degree of benign neglect for some wildlife. That’s my story too. The wildlife situation is more than alarming and I probably ought to turn the whole place over to them. I’m reading a fascinating book The Earth After Us by a paleontologist about the strata our civilisation will leave a hundred million years hence. (Sadly, we won’t make it to Venice, so wave at some lovely empty piazza for us). 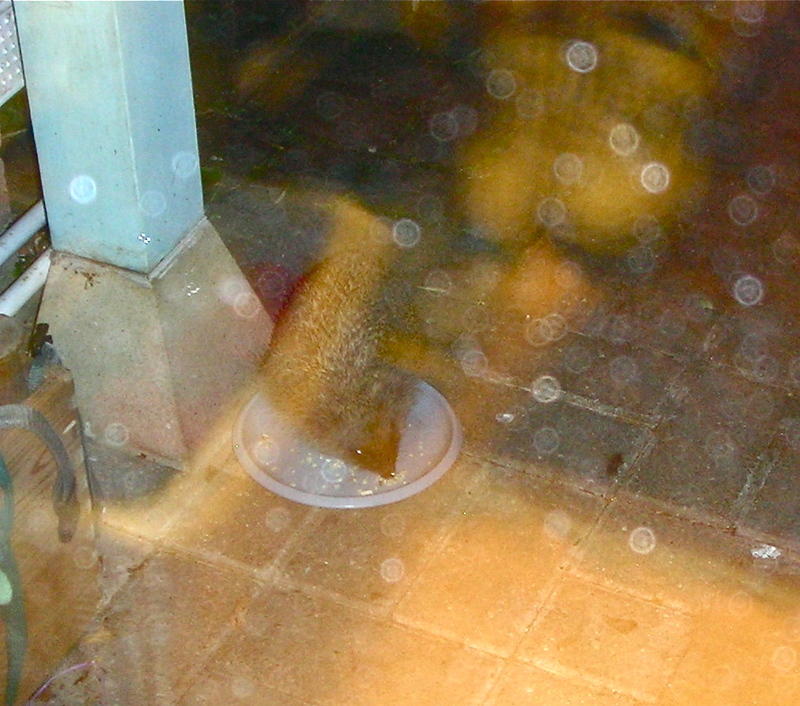 Hedgehog perishable goods, otherwise I would! Your five acres are better for the wildlife and you have plenty of that. Criticism leads to improvement – but I prefer praise. I love that you have ‘opened your cloak’ and shown us the imperfections in your garden. Actually, found the photo of the fungus on a hazel stump to be quite beautiful (in the eye of the beholder I guess). Thank you. I can never resist photographing fungus, it fascinates me. I always have a nice yard and garden, but not this year. I gave up, the heat got to me and the plants and it showed. Perhaps we need years like that, so we will enjoy our perfect outside world more next year? Yes, the year has been very disconcerting with wonderful weeks and then either unending rain or parched months. Mostly though I have been otherwise occupied with the preparation and then the aftermath of publishing. Next year should be easier! 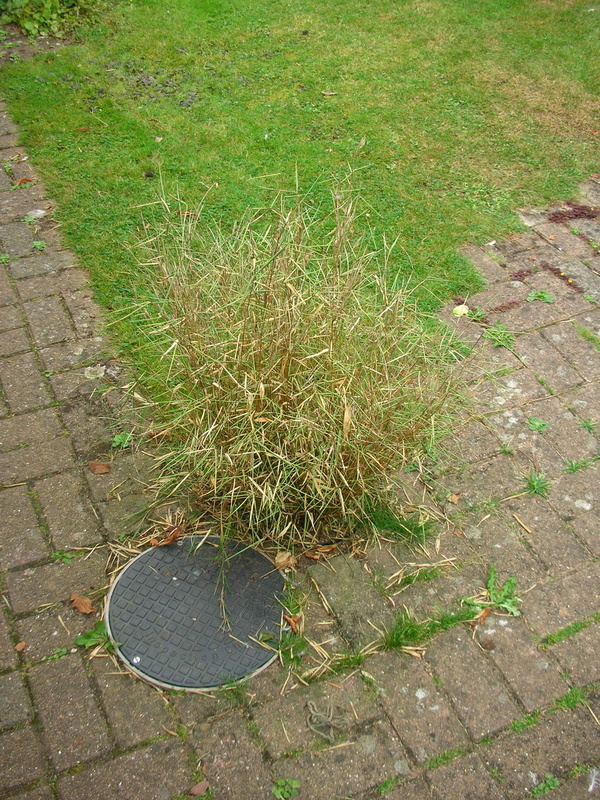 But I can tell you that my garden would beat yours in a “World’s Worst Garden” competition, hands down. You have no idea….. We’re not quite at the ‘rusting car bodies’ stage but it’s a close thing. I’m so glad it worked for you. You have reminded me of the house we tried to buy way back in the seventies. A lovely old red-brick, uninhabited and with outbuildings and an acre and a half of land… including old petrol pumps, rusting car bodies etc. My new in-laws were appalled, but oh I wanted it! The owners, a firm of brothers, never quite made up their minds to sell, so we bought this village house instead and have never moved. It’s been weird weather this week hasn’t it, yesterday my plane landed in a thunderstorm and flood in Manchester and today it’s 27 degrees and so so hot.